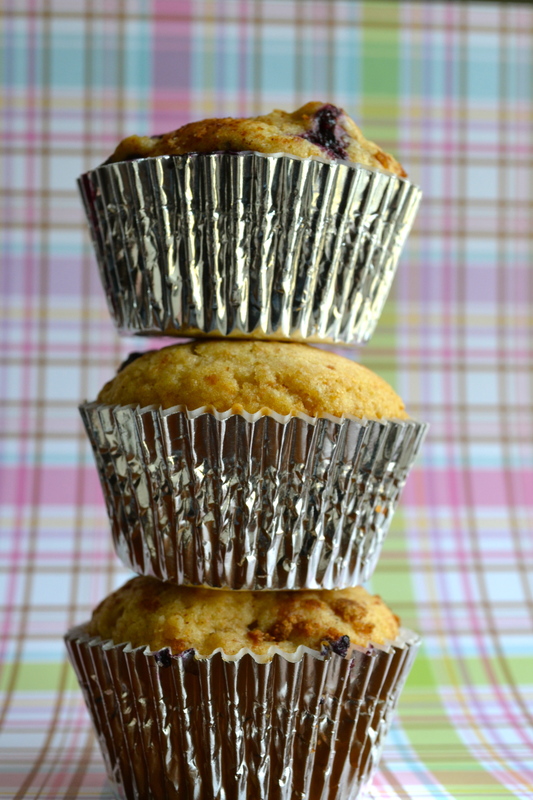 Blueberry Muffins | how 'bout some cake? 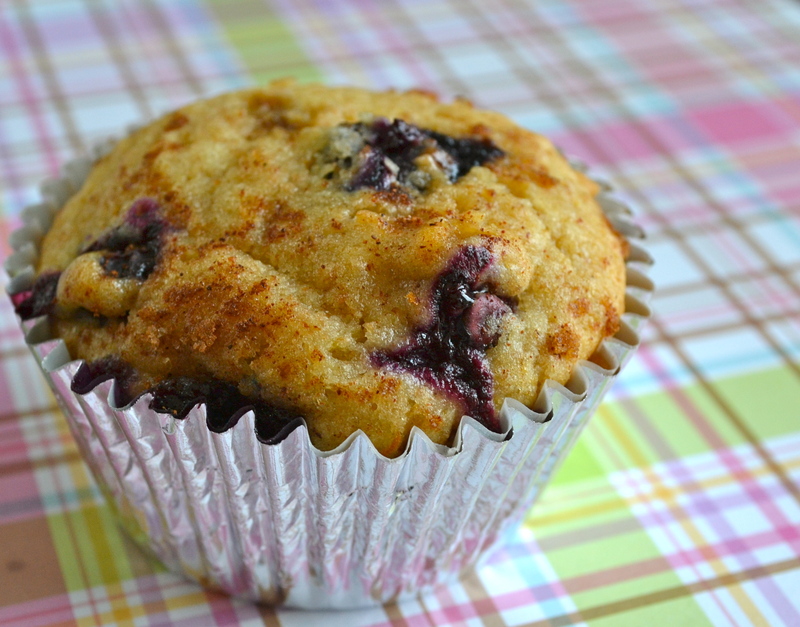 In a perfect world, I’d wake up to fresh, hot, homemade muffins twice a week and they’d make my thighs shrink. I have a hard time believing I’m the only one who feels that way. I decided they were the perfect treat to send home with Jason for Easter, so I whipped up a batch the night before he left. It’d been ages since I’d made muffins, and I don’t have a go-to recipe, so I tried this one. The only modification I made was adding some brown sugar to the topping. It was an excellent idea- you should definitely try it. These were quite good; I’d say four stars. The topping didn’t stay on very well, perhaps next time I’ll bake them without it, then paint the tops with melted butter and sprinkle it on before eating. 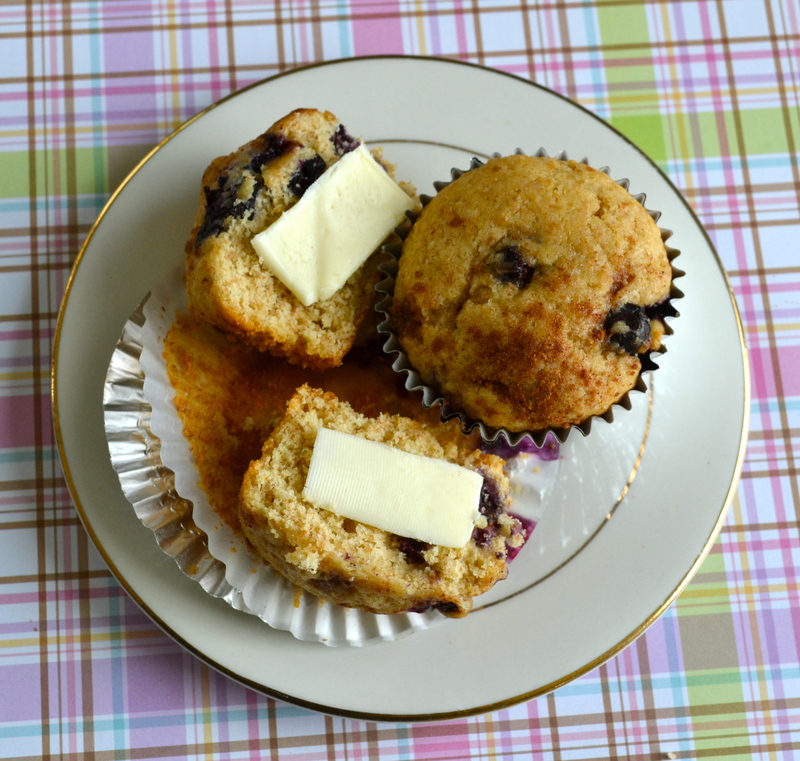 Do you have an awesome muffin recipe to share with me? 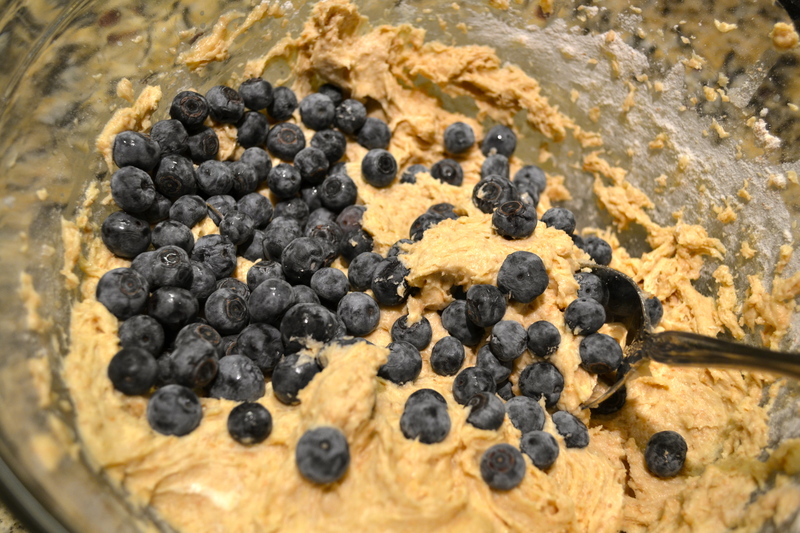 This entry was posted in Food & Recipes, Indulgences and tagged blueberry muffins, breakfast, muffins, recipes. Bookmark the permalink. These were delicious 🙂 I ended up putting strawberry cream cheese on top & couldn’t stop eating them! Oh my goodness! These look amazing – i love your pictures too 🙂 i think you just inspired me to attempt making muffins.